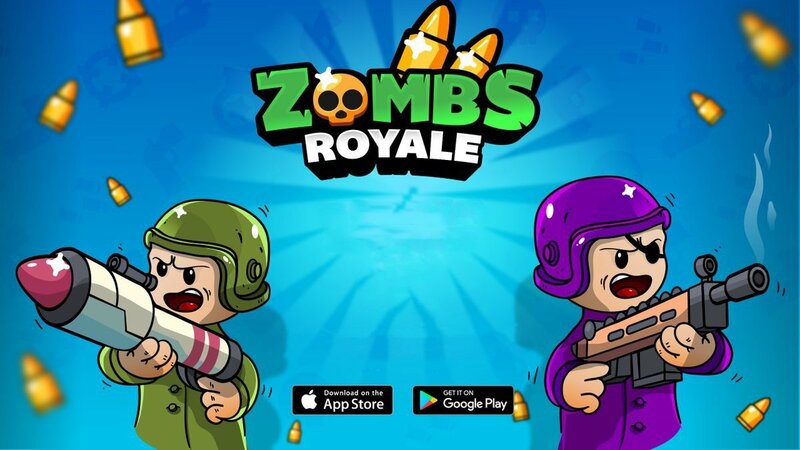 ZombsRoyale.io is a multiplayer game based on the very interesting 2D graphics of the publisher End Games. The game is inspired by Fortnite and PUBG Mobile and it is attracting more than 10 million players. In part, the game supports multiple platforms, including PC, Android, iOS and even web games. The name of the game is the site address, you can play it here. But before that, let me have an overview of this extremely interesting game. If you play on a PC, use Space to parachute. The WASD key or arrow keys for you to move and the E key for you to loot, open the door. If you use a mobile phone, the control mechanism is similar to other games. Quickly pick up items early to deal with any enemies around you. This game requires you to be able to react quickly, accurately, and handle good situations. Also, you need a bit more luck to be the last survivor. The top-down view lets you see the whole surroundings without much trouble. You will feel funny when looking at characters designed with a circle with two hands to hold weapons. The graphics are so simple that it can run smoothly on low-level devices without many obstacles. Some terrains may be destroyed when you hit them, which may contain weapons or blood. Take note of this! 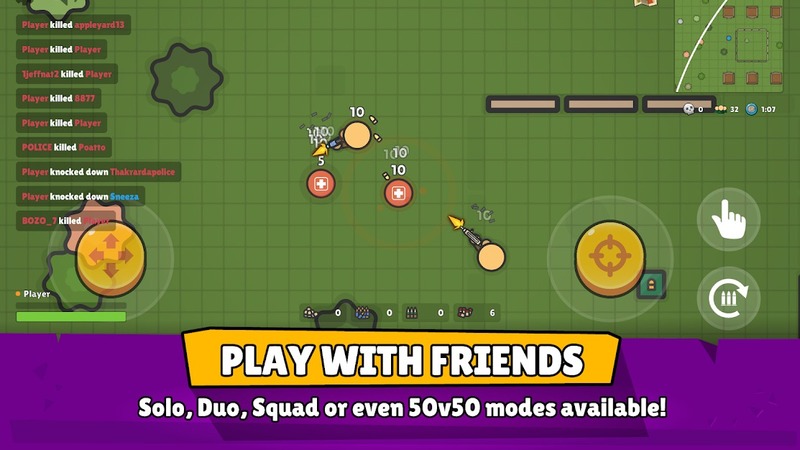 And of course, ZombsRoyale.io requires your device to be connected to the internet. ZombsRoyale.io still has all the familiar weapons such as Scar-Light, M416, M16A4, AKM, … and some shotguns like S1897. You have to calculate the distance that you can shoot, especially when using a shotgun to easily kill enemies. There are over 1000 accessories for you to upgrade and decorate for your character. Some are available for you to purchase but some require you to pay in cash to own it. Doing your daily, weekly, monthly tasks is also a way for you to make money and collect rare items. 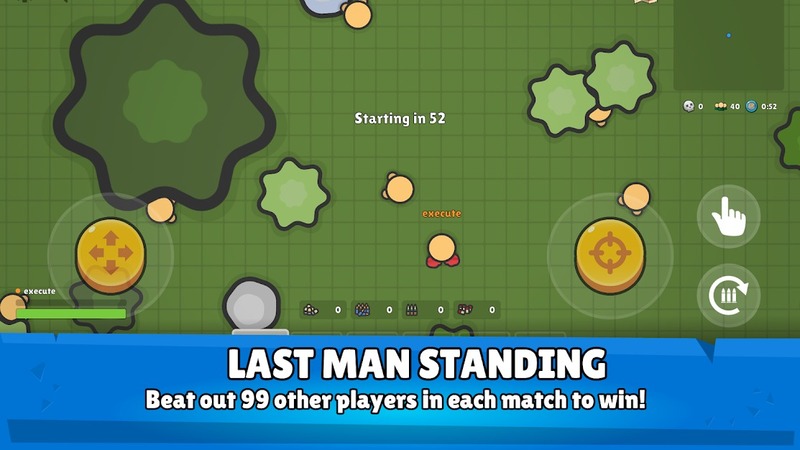 ZombsRoyale.io is a survival game towards to entertainment, less stressful. 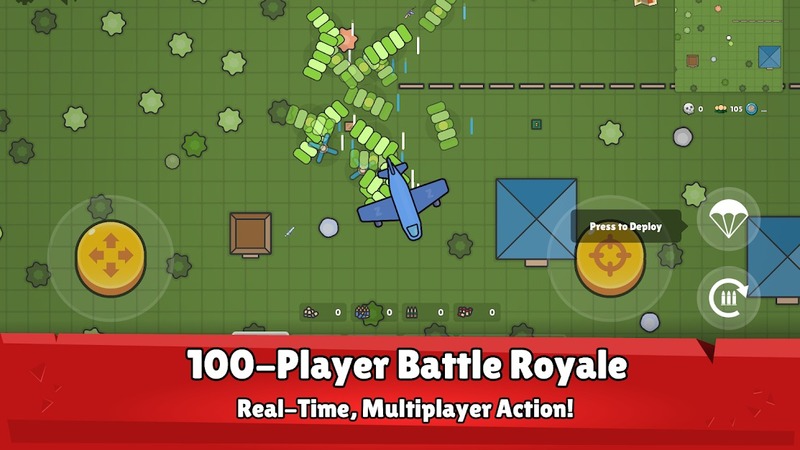 If your configuration is not enough to play Fortnite or PUBG Mobile, or you are looking for a special survival game, ZombsRoyale.io will be a good idea. Now, I have a great game of entertainment when I sit on the bus or relax in a cafe. ZombsRoyale.io APK is ready to download!